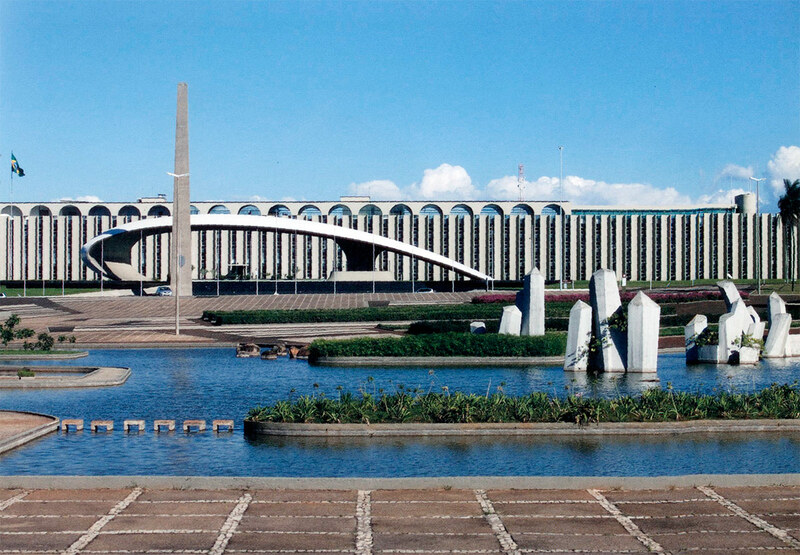 The Gardens of the Ministry of the Army in Brasilia was a collaborations between Roberto Burle Max and Oscar Niemeyer. The garden was meticulously color-coded: The finished gardens reproduced, in plots of vegetation and crushed stone, or painted pavement, the precise colors, as well as shapes, of his high-color gouache plan studies. 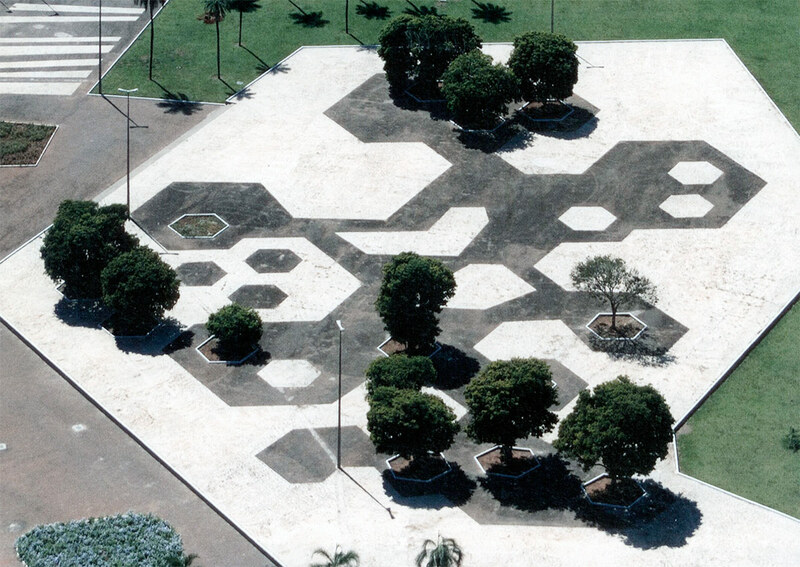 Burle Marx’s artistic style was avant-garde and modern. Much of his work has a sense of timelessness and perfection. He explored an anti-mimitec and skeptical aesthetic developed from modernism with a distinctly Brazilian style. His designs were also influenced by cubism and abstractionism. His aesthetics were often nature based, for example, never mixing flower colours, utilisation of big groups of the same specimen, using native plants and making a rocky field into a relaxing garden. He was very interested in each plant’s character and what effect that has on the whole garden. He sought a depth in his designs by understanding how animals interacted with plants and how they bloomed, amongst other plant characteristics. 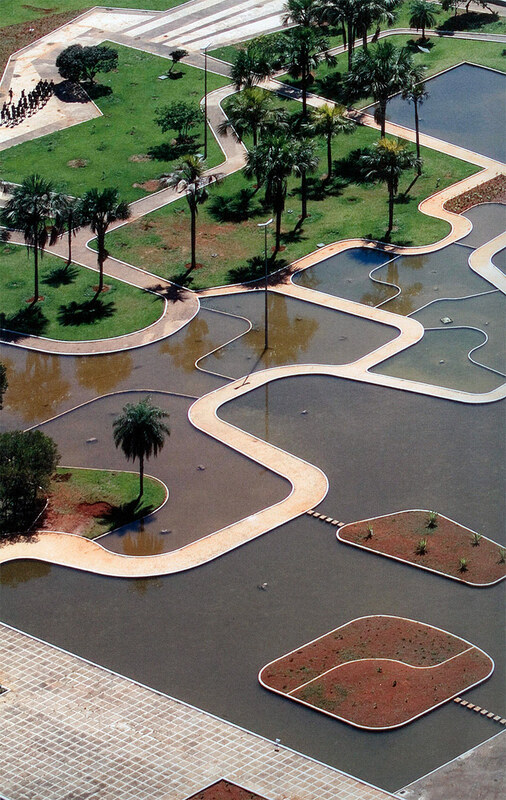 Burle Marx had a great skill in utilising the sculptural form of plants. 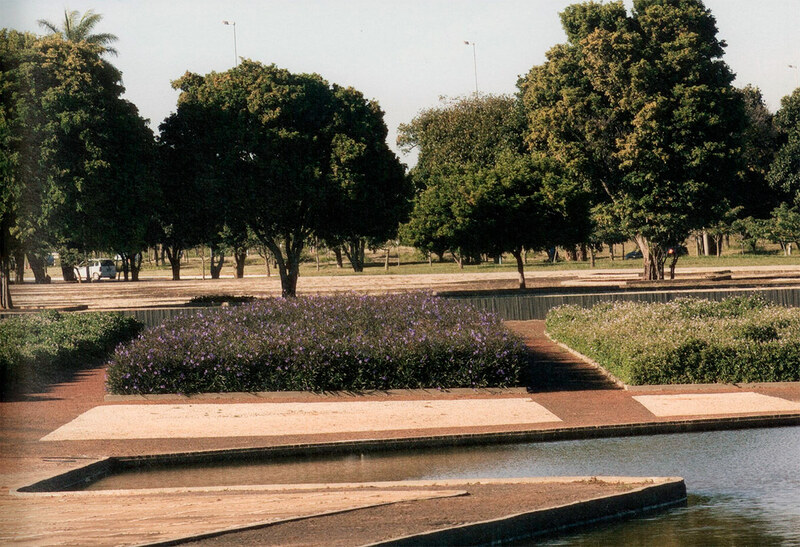 Burle Marx was mindful of the dynamic of walking through a garden. The sensation of mobility is an important element of experiencing his landscapes. He also made clever use of enormous scale, lighting and reflection particularly in his use of water. Burle Marx was able to extend the architecture of a building into the garden. 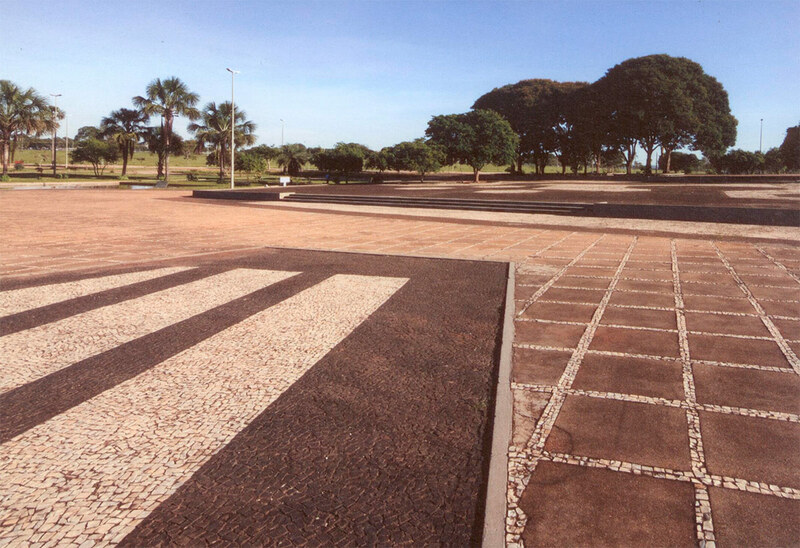 He preferred to work on public spaces because, in his words, they are able to provide dignity for the masses. The use of free forms in water features. 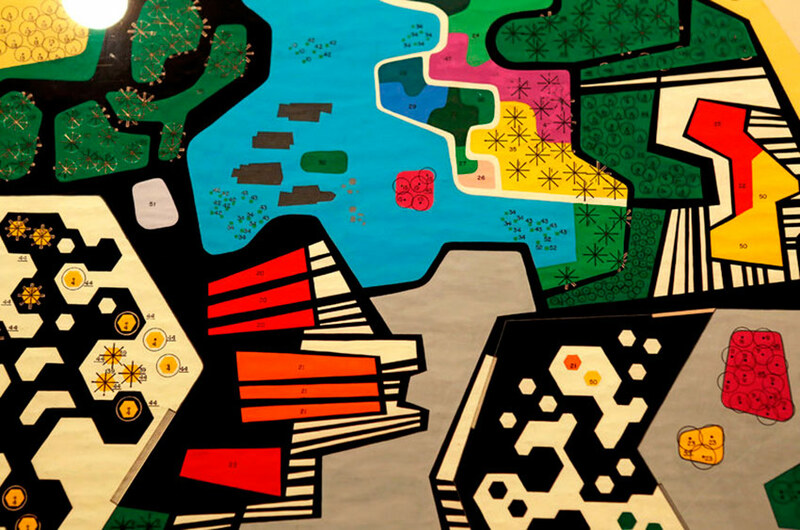 Roberto Burle Marx was a Brazilian landscape architect (as well as a painter, print maker, ecologist, naturalist, artist and musician) whose designs of parks and gardens made him world famous. 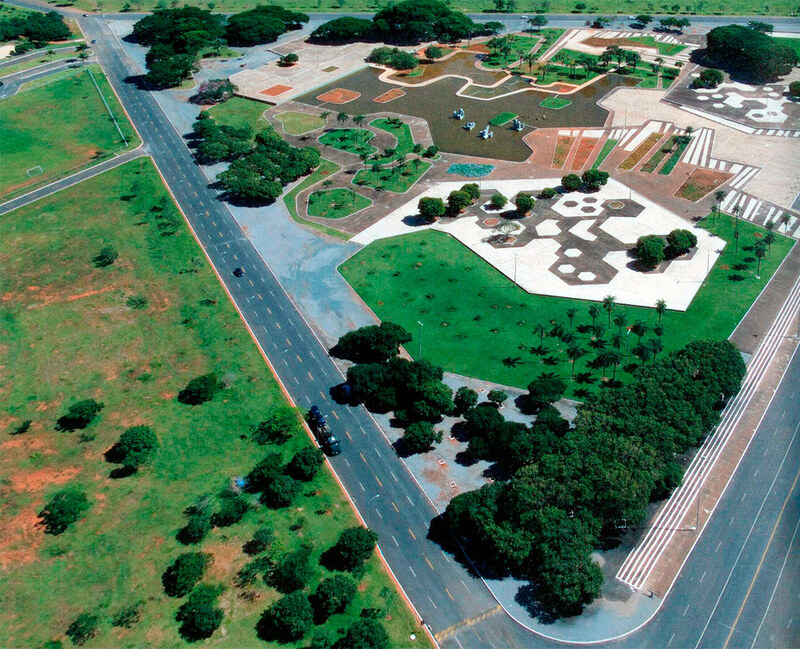 He is accredited with having introduced modernist landscape architecture to Brazil. He was known as a modern nature artist and a public urban space designer. His work had a great influence on tropical gardendesign in the 20th century. Water gardens were a popular theme in his work. He was deftly able to transfer traditional artistic expressions such as graphic design, tapestry and folk art into his landscape designs. He also designed fabrics, jewellery and stage sets. 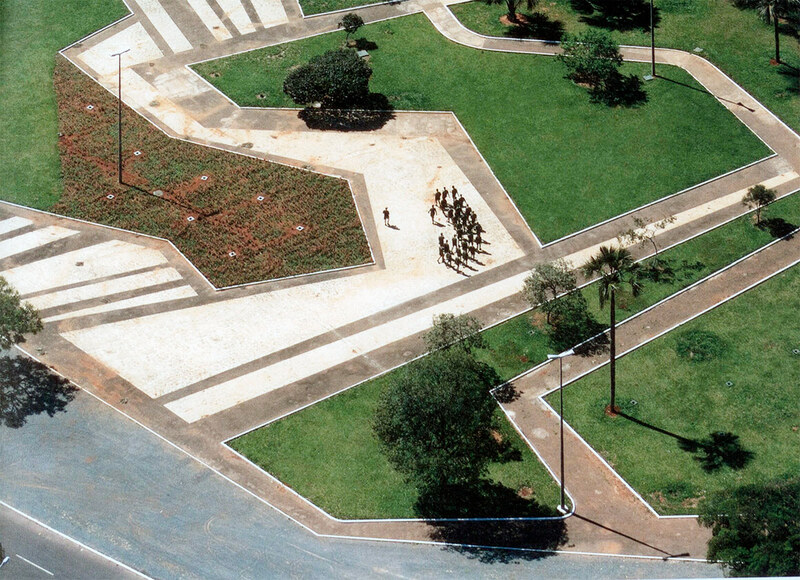 Cite this article: "Gardens of the Ministry of the Army in Brasília / Roberto Burle Max," in ArchEyes, July 17, 2016, http://archeyes.com/garden-ministry-army-brasilia-roberto-burle-max/.